Syte is caused by bacteria. Use natural remedies for best result. Maintain proper hygiene while touching eyes. Protect eye from dust and dirt while having syte. Syte is an infection of eyes with small painful bump under eyelids or on eyelashes. This infection is caused by bacteria Staphylococcus aureus. 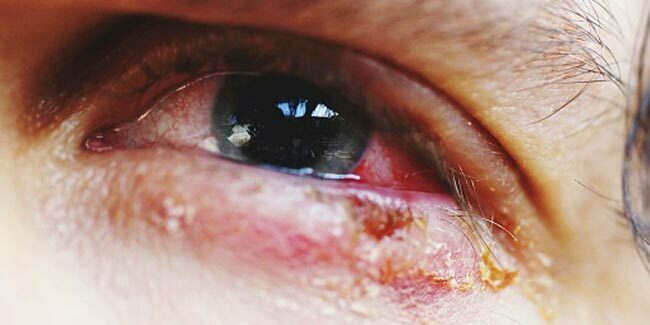 The infection of syte causes severe pain and itching in eyes and sometimes forms pus by infecting the sebaceous glands. The infection of syte occurs in poor hygiene conditions or due to lack of proper nutrition. Dehydration, rubbing the eyes, keeping eye make up overnight and lack of adequate sleep may also cause syte infection. Take 10-12 leaves of fresh parsley and brew it for about 10 minutes in boiled water. Now take a clean soft cloth and apply it on the affected area. Keep your eyes closed while doing this. After this process remove the cloth and relax for 20 minutes. The parsley leaves will wipe out the entire toxin along with tears and give you relief from pain and redness. Repeated application twice or thrice a day is good to obtain fast relief. Applying warm guava leaves wrapped in warm cloth gives instant relief from syte. Applying a piece of cucumber or keeping a cotton ball dipped in cucumber juice on infected area gives relief from irritating symptoms. It also helps to heal the disease faster. Mash a boiled potato and apply it on the affected area for 8-10 minutes. This will help in reducing the swelling and you will get relief in few days. Apply the cream of milk on affected area. Let it dry and wash it with lukewarm water once done. This will soothe the pain and itching. Use of thisremedy will not only help to get rid of syte but it will also provide nourishment to the skin. Take a fresh aloevera and slit it into two parts. Take the oozing out pulp and apply on syte. This remedy will sooth your pain in few minutes. If you apply it frequently the disease will vanish in a day. If it comes to Indian herbs, there is nothing better than turmeric. This wonder herb packed with anti bacterial properties gives quick relief. Boil 2 cups of water till it is reduced to half. Add one teaspoon of turmeric powder in it. Apply 1-2 drops twice a day as eye drops and see the results. 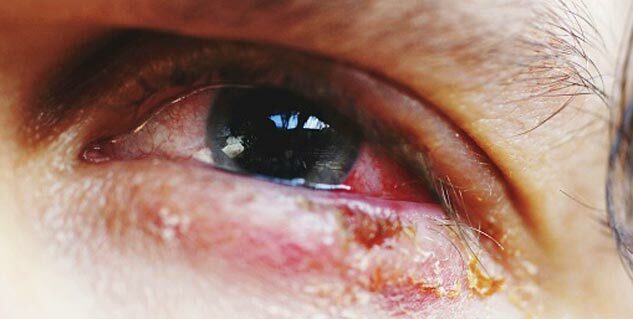 Drinking turmeric milk will also help kill the bacteria and reduces the further infection in other eye. This Indian spice is very effective in syte infection. Apply soaked clove on affected area to get rid of pain and redness. It possesses anti bacterial properties and helps to prevent the spread of disease. Applying castor oil on affected area helps to reduce pain and redness. Apply it thrice a day for faster relief. Wash your eyes with triphala water to get rid of pain from syte. Read more articles on Eye Disorders.